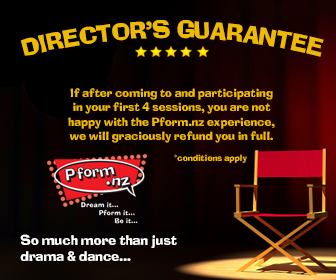 Pform.nz offers a range of performing arts classes in Ponsonby to kids aged 4 and 13. We teach children dance, drama & singing classes on weekends at Ponsonby Intermediate School. Paige is on site to teach your children Saturdays between 9:00am and midday every Saturday during term time. All classes at Ponsonby Intermediate are taught in the school hall. To get there Look for the Clarence street entrance, The hall is just off the main car park through a pair of big double doors. We look forward to performing with you.